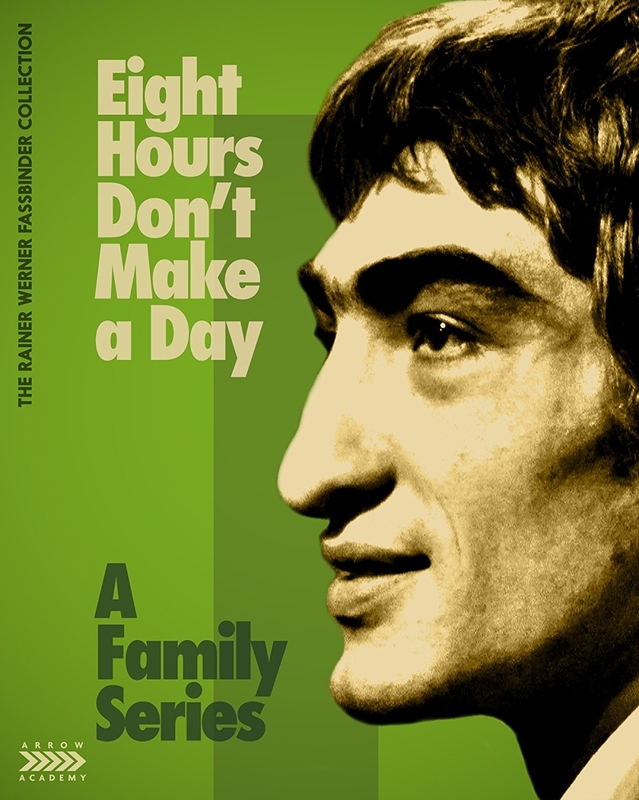 All five feature-length episodes from the German drama series written by Rainer Werner Fassbinder. All five feature-length episodes from the German drama series written by Rainer Werner Fassbinder. Rainer Werner Fassbinder had been making feature films for three years and already amassed a filmography that would satisfy most careers when he decided to take on a bigger challenge. Teaming up with West German television channel WDR, he conceived of Eight Hours Don t Make a Day, a series that would extend to five feature-length episodes to be broadcast at monthly intervals. Reminiscent of working-class soap operas such as Coronation Street and the family-based sitcoms of Carla Lane, Eight Hours Don t Make a Day has been a one of the more difficult to find entries of Fassbinder s extraordinarily prolific output, but is now presented here in full and newly restored by the Fassbinder Foundation.